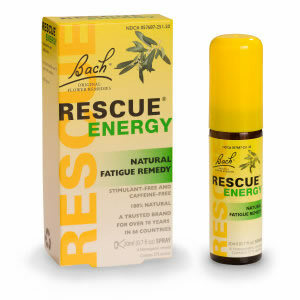 Stimulant free Rescue Energy improves the body's ability to handle stress and strengthen its natural energy reserves. Restoring emotional vitality, Rescue Energy is all natural, non narcotic, and non habit forming. Dr. Edward Bach stated that the flower remedy Olive, a key active ingredient in Rescue Energy, restores energy when you are physically and mentally exhausted. Use when you need an energy support boost, anytime, anywhere. Certain issues resulting in a lack of energy may be better treated by using one of the other 38 Bach Flower Remedies.